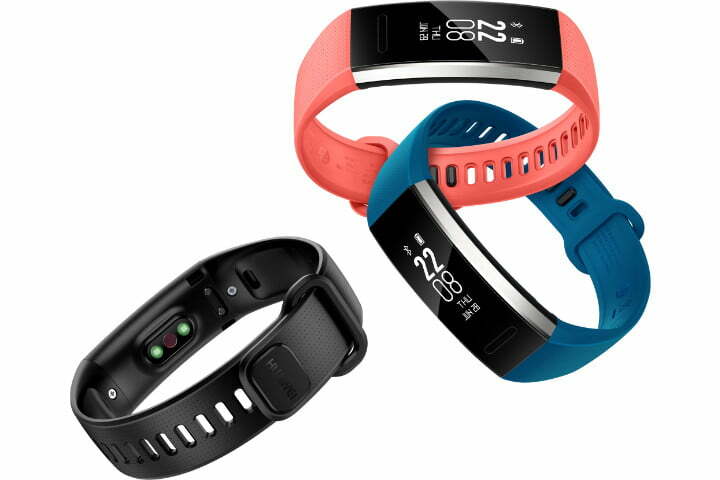 Huawei, while best known for its smartphones, is also adept at making great wearables. Its latest is the Huawei Band 2 and the Huawei Band 2 Pro, which is the far more interesting of the two new models. Here’s everything you need to know about the fitness bands. In the United States, the Huawei Band 2 Pro is sold through Amazon, where it costs $70 and comes in either black, red, or blue. Amazon is also the place to get the Band 2 Pro if you’re in the United Kingdom, where it’s 80 British pounds, but only comes in the black color scheme. The corresponding Huawei fitness app is available for iOS and Android, and is free to download. Why should you buy the Huawei Band 2 Pro? The Huawei Band 2 Pro is compelling, mainly due to something we rarely see on anything other than top-flight fitness trackers: VO2Max measurement. What’s VO2Max? It’s a metric used to measure how fit you are, by assessing the amount of oxygen your body can take in and use as energy. Unlike stats like calorie burn or step count, your V02Max number will improve the fitter you get, so it’s a great motivator, and an excellent indicator of whether your hard work is paying off. It’s worked out using analytical data taken from your heart rate and energy output, whether that’s on a treadmill, stationary bike, or through GPS when running outside. VO2Max is measured on the Band 2 Pro using sports analytics company Firstbeat’s technology, which promises 95-percent accuracy in its readings. To get a VO2Max reading you’ll have to wear the Huawei Band 2 Pro, which has the all-important PPG heart rate sensor, and not the more basic Huawei Band 2 which is also available. The sensor is mounted underneath the body and active all day. The Band 2 Pro also has GPS onboard, which is naturally rather heavy on the battery. With it active, the Band 2 Pro will be out of power in 3.5 hours, but without it, working time — even with the heart rate monitoring — extends to 21 days, according to Huawei. Firstbeat has also worked with Huawei on a running coach, where a personal training plan is created based on your fitness level, plus a recovery time indicator so you don’t over-exercise, and stats showing how your workouts are improving your overall fitness. The Band 2 Pro has Huawei’s TruSleep measurement, which monitors all stages of sleep including REM, and presents the data on a dashboard in the Huawei Health app. It also has a breathing coach for some mindfulness exercises. On the technical side, the PMOLED screen shows all the related fitness data, and the band will pair with your Android phone to provide notifications, incoming call alerts, and a reminder if you accidentally leave your phone behind somewhere. Both the Band 2 and Band 2 Pro are water resistant to 5ATM, so are safe for swimming. If many of these features sound familiar, it’s because the Firstbeat technology — that’s the VO2Max and all the training programs — is also used on the Huawei Watch 2. Here, it’s squeezed down into a sportier fitness band, rather than full-on smartwatch. Update: The Huawei Band 2 Pro is now for sale in the U.K., a few weeks after its U.S. launch.